The weather seems perplexed lately, caught between winter’s chill and the warmth of spring. With the wavering temperatures, what is one to do for food cravings? Do you choose comfort foods that taste like a warm blanket on a frigid day or reach for spring’s fresh flavors? 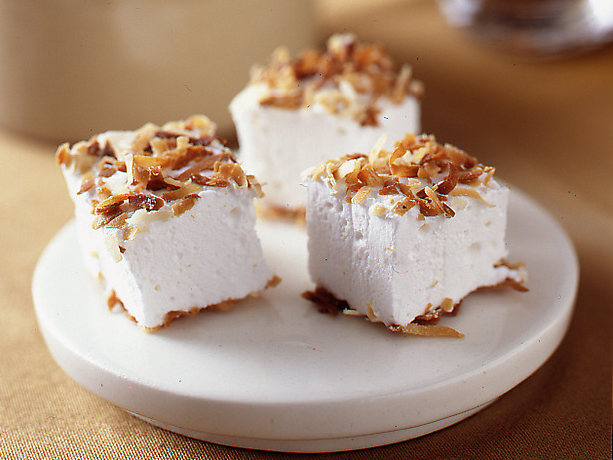 Answer: toasted coconut marshmallows! Creamy and indulgently satisfying while light and airy with a hint of tropical goodness. My how I enjoy this recipe! Thanks to Ina Garten, these delectable goodies are easy to make and completely worth your while. I’ve also used her basic recipe to make cinnamon marshmallows before, grinding red hots into a powder and substituting them for sugar. Any time I’ve made this recipe with kids, they have always been fascinated how such a small amount of liquid whips up into a massive, fluffy cloud. A Life Of Patience · Life is an adventure. God is faithful. Always.